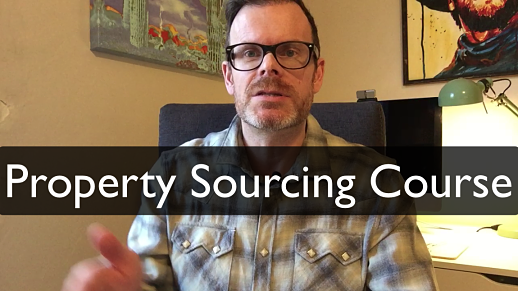 In our new property sourcing course, you'll discover how to source heavily discounted deals and to pass those deals on to other investors for a fee... Watch the video below now for more info! John Wilson here, from Property Investment Blueprint and I just wanted to shoot a quick video about our property sourcing course. Now property sourcing as a business model is very lucrative and you're basically, you're finding property deals either for yourself, but a lot more often you're finding deals for other investors and passing those deals on to investors for a fee. Quite a generous fee, in most cases. So we have our property sourcing course, which covers the whole process, from beginning to end. So at the at the start, we have a course called Guerrilla Property Goldmine, and that's all about finding your "gold mine" area, or the geographical area that you're going to target for your property sourcing. And that's very important because you need to find the right area to get good deals. If you choose the wrong area, then you may not find the right volume of deals, or the right type of deals. So that's pretty important. And that's course comes in the form of our digital manual and a bunch of downloads, and also a video where you're looking over my shoulder, to see me evaluate a couple of different areas. 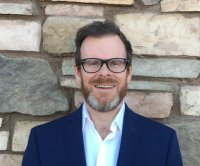 So next comes marketing, and actually finding locating those deals. So the way that we teach for finding property deals is by going direct to sellers and dealing with motivated sellers. When I first started, I used to deal with estate agents and that was a losing battle for me because I was up against homebuyers and up against other investors. So I ended up often paying market value, or close to it for my properties, which is not the going to be a good long-term solution. So we teach in Guerrilla Property Marketing how to do that. How to market to those motivated sellers, and get in touch with, or get them to get in touch with you, which is a far better way of working. So that's a video course with, again a bunch of downloads, forms and checklists and so on, and then the next thing is when you're in touch with those motivated sellers, how do you talk to them? And that is what our our next course, Deals on Demand is all about. So it's a video course, combined with again a bunch of downloads, but most specifically, scripts: phone scripts that you can use on the phone when you are talking to motivated sellers. It's very important that you know, exactly what to say and when to say it in, order to build rapport with the seller, so that they're okay with you asking quite personal questions about their finances and so on. And figuring out if they're actually motivated because if they aren't motivated, then you're wasting your time dealing with them and things like that. You know, these scripts will set you up to be the person that's going to be the one to solve their problems, in terms of selling their property. And help you to come to a win-win solution for that seller. So next we have Guerrilla Deal Packaging, and this digital manual is all about how to take a deal and present it in the best way to your investors. Also how to find investors, because obviously if you're going to be deal sourcing then you you need to be able to find investors to sell your deals to and that is all covered in Guerrilla Deal Packaging. Something that we provide that other property sourcing courses don't provide is our website solution. Now, in this day and age, if you are going to be dealing with a business, then the first thing that you do is you look them up online, right? You want to see what they're all about. You want to see that they've got an online presence and that they're a reputable company, right? Now how much more so are your sellers going to be doing that if there are selling their property? It is the biggest transaction that most people will ever make in their lifetimes. So they want to be sure that they're dealing with someone who's credible, who has expertise, and and is not going to disappear at the first sign of a problem. And they expect to see a website these days and that's exactly what we provide. We provide an easily customisable, affordable website solution for property investors, and there's 10 different themes to choose from. But if your deal sourcing, you'll probably want a deal sourcing website, and we have a template for that. So how does that work? When you sign up, you just let us know which theme you want and we'll get that set up for you, ready for you to customise. So also with our deal sourcing course, we have our private Facebook group that you can join and in that, you'll get direct access to myself for asking any questions. You have access to me via email as well, because I know not everybody is on Facebook. But the Facebook group is a good place for you to network with other investors as well and perhaps do joint ventures, trade your deals and so on, in that that private environment. We also have our joint venture opportunity and that's very useful, especially if you're just starting out, because if you find a deal and you maybe don't have the right investor to buy it, or it's outside of your area. You need access to a variety of investors to buy your deals and with our joint venture facility, just come to us. If you've got something that's genuinely a deal, then we will work with you to find a buyer for that deal. We have a large investor list and we'll find the right contact in our contact list to sell that deal to. Obviously no guarantees, but if it is a genuine deal then there's a very good chance we'll be able to find a buyer for that. Okay. So basically everything that I've just mentioned is in our whole property sourcing course and it is available for a low monthly subscription. You know, many property sourcing courses are hundreds, if not more commonly thousands of pounds and that's not us. So you can you can try it risk-free. Just join up and there's a 30 day money back guarantee. So if you like what you see, then you can get your money back within 30 days, but most people almost can't believe the value of the content that they will find when they join up. So there's even a few advertised extras in there, too. So, yeah, I recommend that you you give it a try and sign up and you can check it out via the link or button below this video or on this page. So this has been John Wilson from Property Investment Blueprint and thanks for watching.